ssTab is the latest on my ssclasses family. 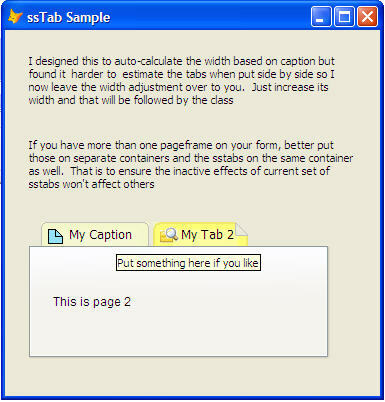 I originally created ssPage before but since I am still new with classes way back then, although the class produces an appealing tab appearance, it is messier and harder to use. nIconStretch - will the icon stretch or not? Of course, in the future I may create more.